Sviatoslav Richter was already a legend in his native Soviet Union when he concertized in the West for the first time in 1960. The present unique collection of his complete discography on RCA and Columbia contains, for the first time ever, six of his legendary Carnegie Hall recitals from October and December 1960 - uncut and unedited, remastered from the original analogue tapes. It also includes the entire recital at Mosque Theatre, Newark, from December 1960, as well as a remastered version of Richter's debut LP for RCA Red Seal (Brahms's Concert No. 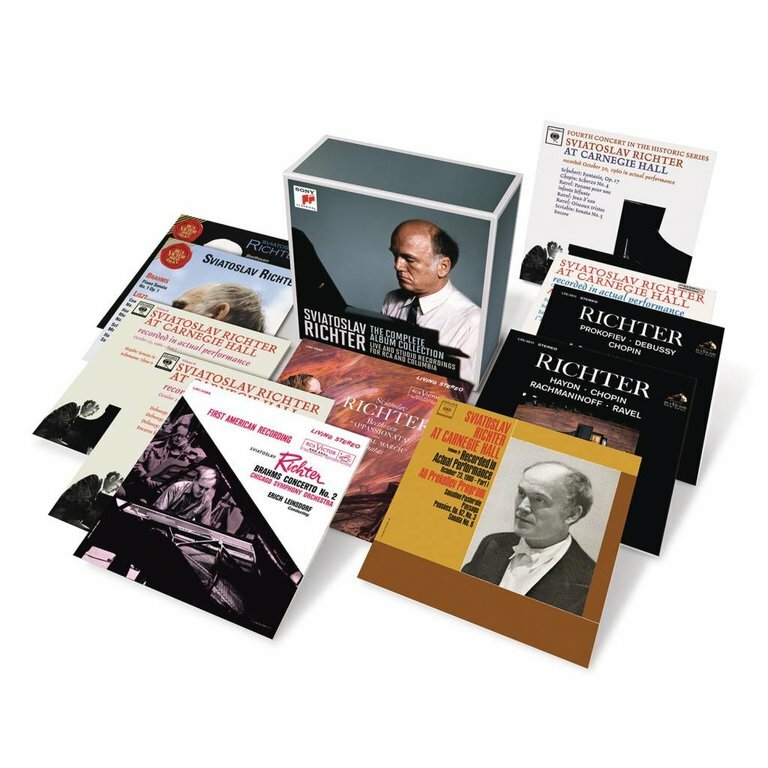 2 with the Chicago Symphony Orchestra and Erich Leinsdorf), Richter's complete studio recordings from November 1960 (comprising of Beethoven's Concerto No. 1 with the Boston Symphony Orchestra and Charles Munch and three sonatas), and live recordings from the 1977 Aldeburgh and 1988 Schleswig-Holstein festivals.